Managers often work at instilling job satisfaction in their staff—making sure their employees are treated professionally, well compensated, and furnished with challenging and purposeful tasks. But to do all those things successfully, a manager must also be content in the workplace. And each manager’s recipe for satisfaction—a blend of intrinsic fulfillment and external elements— consists of a unique proportion of factors. Managers often feel empowered when their staff is thriving and content. This empowerment is a leading ingredient for a manager’s satisfaction at the workplace. For Colonna, if his workforce of 550 is happy, he feels gratified knowing he is performing his job properly. “Job satisfaction for me is job satisfaction for my staff,” he says. Becky Martin, the lab director of a 200-bed hospital, a division of the Baylor Healthcare System in the Dallas Metroplex, also finds fulfillment as a manager when her staff is content. Martin, who spent time with the group making supply bags, didn’t realize how much her joining this effort meant to the group. She also didn’t anticipate how much their contentment was contagious. “I call these ‘halo moments,’ when the staff really get what our mission is and they embrace this with gusto and have happiness just spilling over,” Martin adds. Most employed individuals in this country spend half, if not more, of their waking hours at the workplace. Friendships at the office or laboratory facilitate security, trust, increased communication, and gratification. These types of relationships, according to Darvish, foster a loving atmosphere in which the long lab days are for the most part enjoyable ones, both for the employees and for Darvish. Outside relationships are also critical to a manager’s contentment. 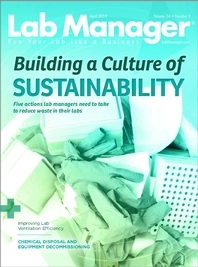 With strong ties to others in the same industry, lab operations run more smoothly, effectively reducing stress and in turn producing more satisfied managers. “I think it’s a really critical part of the teamwork that if you don’t have that collaboration and engagement with other people outside of your arena, it’s going to ultimately cause you problems. We’re all interdependent on everyone else,” he adds. 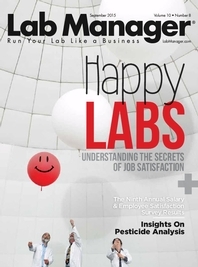 A top driver of happiness in the workplace is effective and open communication. Proper transmission of information is key to accomplishing both individual and collective goals, which in turn leads to managers who are less taxed and therefore more content running a laboratory. Others agree and indicate that communication, in all arenas of the workplace, is a necessity. This exchange of ideas is important not only within labs but also with the outside world, be it vendors, subcontractors, or clients. According to Darvish, communicating clearly and efficiently is probably the most important aspect of running her laboratory and company. She constantly works hard to acquire knowledge on a specific topic and then transmits that information to both her employees and clients. And for her, the lines of communication aren’t just open from nine to five, but at all hours of the day. Research shows that when employees are given some degree of autonomy at the workplace, their satisfaction at the business place rises. This is partially because individuals get a sense of increased accountability for the quality of tasks they perform. Managers are no different, and consider self-governance an important aspect of trust and responsibility on behalf of upper management. “I think you need to have a boss [who] understands that you are trying to do a good job, someone who is empathetic, someone who understands your challenges and certainly understands the work you’re doing,” says Colonna. Another factor that allows managers to better enjoy their work atmosphere is the way in which they view upper management. In addition to having autonomy, managers and directors find it important to look up to those higher on the corporate ladder. One of the most influential factors in job satisfaction is an organization’s reputation. An organization’s image is key to how a company is evaluated by advisory boards and other stakeholders, and therefore it is an important aspect of feeling stable as an employee and therefore feeling satisfied. In fact, studies show that company reputation and employee commitment, pride, and satisfaction are positively associated. Similarly for Darvish, the laboratory’s reputation is the reason her business has been successful and that she’s been happily continuing in her pursuit of enhancing and expanding it. Progress in personal goals is another major force in career fulfillment. For some managers, it’s the overarching mission of the work they do that satisfies that need. For others, it’s achieving a dream of building an organization from the ground up and seeing it thrive. When Darvish first immigrated to this country, she wanted to enroll in graduate studies in chemistry. But faced with financial barriers and language difficulties, she took a job as a technician in a laboratory during the day and babysat in the evenings. She went on to take odd jobs, including selling real estate and clothing, but never lost sight of her objectives: to be a chemist and have her own business. To that end, Darvish got back into chemistry by working for other companies and quickly began moving up in the lab world. This, Darvish explains, has been the ultimate satisfier. “Being a part of serving people and seeing clients so happy and grateful makes me joyful,” she says. Martin’s personal goals have more to do with her leadership role in an organization that works to better patients’ lives.